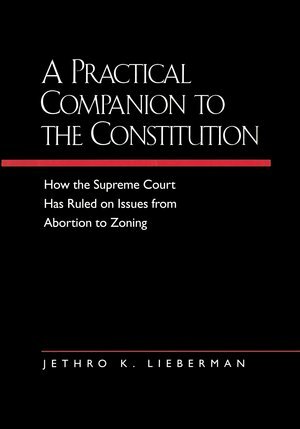 This is the most comprehensive and readable one-volume reference book in print, accessible to lay readers and specialists alike, on the meaning of the American Constitution as the Supreme Court has interpreted it. It is an indispensable tool for students and lay persons who want to understand today's constitutional controversies and their background in our history. It is equally useful to lawyers and other specialists who seek quick reviews of constitutional issues with immediate reference to cases for further research. Unlike conventional treatises that discuss the Constitution clause by clause or under a few broad concepts, this book uniquely treats every aspect of the Constitution and every constitutional topic in alphabetical order, in more than 1,000 short essays. It is extensively cross-referenced and exhaustively indexed, so that even a reader with only a minimal notion of the Constitution or constitutional law can quickly find clear answers to questions about pressing issues of the day. Among the other unique features: a set of introductory essays on the background of the Constitution and the many difficulties of interpreting it; a concordance to each word and phrase in the Constitution; a year-by-year chronology of justices who have served on the Supreme Court; and a table of the more than 2,650 Supreme Court cases from 1792 to the present referred to in the book, listing the vote, the author of the majority opinion, the concurring and dissenting justices, and the length of the opinions. 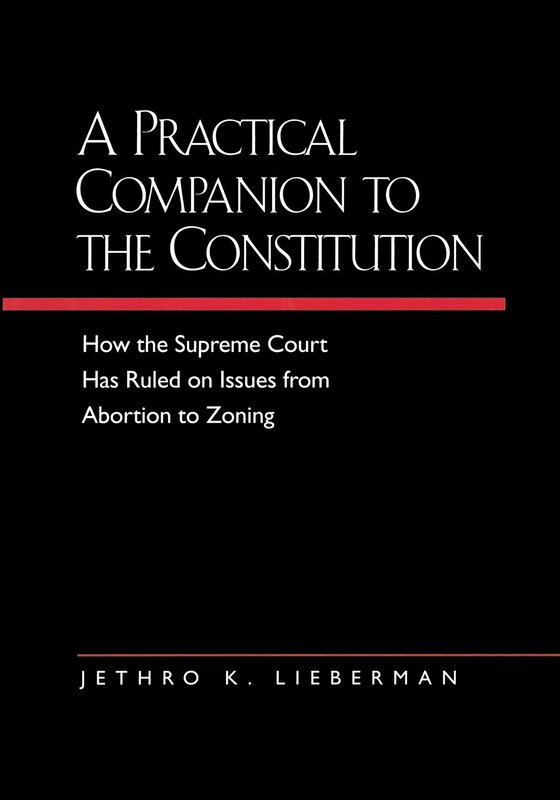 Jethro K. Lieberman is Professor of Law at New York Law School, Adjunct Professor of Political Science at Columbia University, and author of The Litigious Society (1981) and The Enduring Constitution (1987), both of which won the American Bar Association's Silver Gavel Award. He is also the coauthor of A Lawyer's Guide to Writing Well (California, 1991).